Luke Houser is approaching his sixteenth birthday as well as summer vacation in the tiny mountain community of Missing Lake. He continues to try to find balance between real life with friends and their social requirements with the secret world of the mystical dragons. Luke faces challenges with one of his beloved sled dogs as well as with Zagros, the majestic silver dragon, when he has to make choices that could lead to potential disaster. As the summer unfolds, so do more secrets in all aspects of Luke's life and he tries to make sense of everything happening around him. 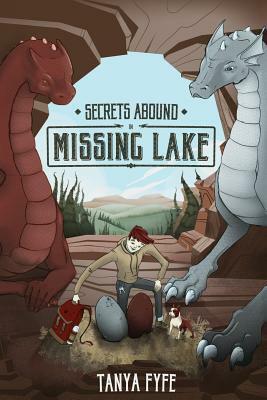 This is the third book in the series which shares Luke's awkward and yet charming journey through adolescence with his beloved team of huskies, his friends near and far, and two dragon eggs that are going to hatch in the middle of nowhere. Tanya Fyfe is a former professional figure skater- turned veterinarian who lives on a ranch in the middle of nowhere in Montana. Her Missing Lake series of teen fiction novels have recieved great reviews from readers of all ages. Born in Canada, she trained for several years in Vancouver, BC and has coached figure skating at all levels for many years. She has worked in both small and large animal medicine in North Dakota and Montana and continues a small house-call practice now. Tanya and her husband share their lives with several animal companions and they can be found on golf courses in Montana and North Dakota, hiking, canoeing, snowmobiling or snowshoeing in the beautiful mountains that surround their Montana home.